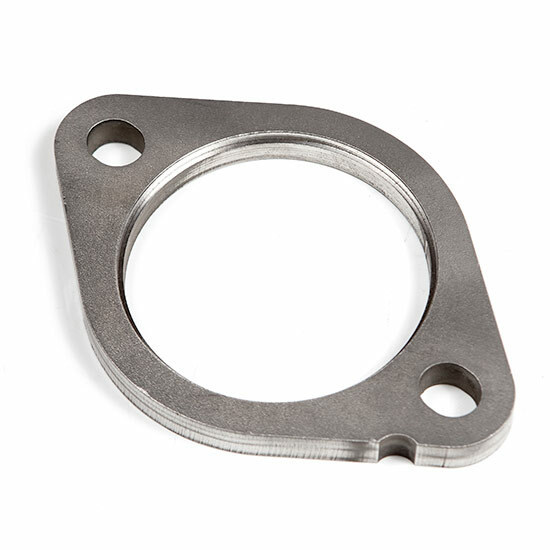 Stainless steel lower downpipe flange. Can be used with ATP-FOC-005 to make a new full 3" downpipe. Has the proper bolt spacing to meet with stock exhaust or any aftermarket exhaust but has 3" internal opening.